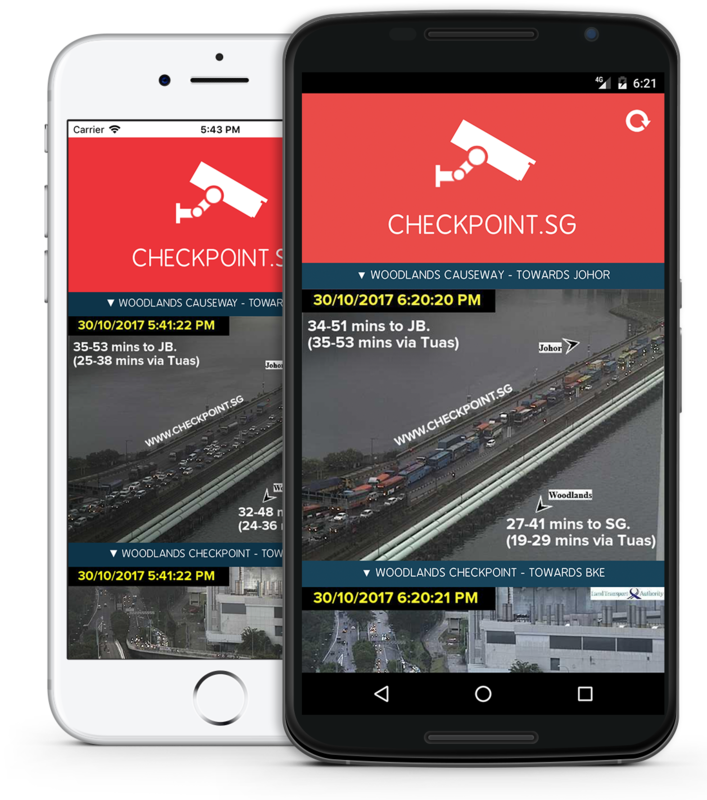 Checkpoint.sg puts all traffic cameras around Woodlands and Tuas checkpoints at your fingertips. Effortlessly check road conditions before you head out. Available on web, iOS and Android. Facebook · Twitter · Developed By T+ Interactive Pte. Ltd.